Home >> Airlines >> Air India >> Why are Air India’s Dreamliners giving trouble when others are not? 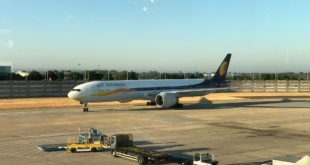 Last July, India’s civil aviation minister Ashok Gajapathi Raju told the Indian parliament, national carrier Air India (AI) experienced delays in 318 of its Boeing 787 Dreamliner equipped flights till June 30, 2014 due to a variety of technical snags. 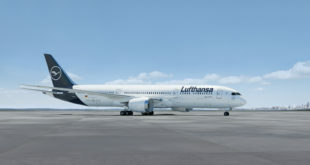 This translated to over three per cent of the total Dreamliner equipped flights operated by the airline. In airline jargon, Air India had a despatch reliability of less than 97% with its 787-8s. Driven by the minister’s statement, at a private gathering held during the Farnborough air show in July 2014, I asked one of the senior-most officers of Boeing, why was Air India facing such a high percentage of problems when other airlines were not? The officer pulled out his laptop and showed me a document which compiled daily data on every 787 flight performed, by every airline in the world, for the day. The despatch reliability, at that time, was over 99% i.e. less than one per cent of all Dreamliner departures, globally, were either delayed by over 15 minutes or cancelled. This begs the questions, what is so special about Air India? 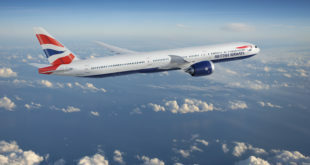 Why is the airline, which has a relationship with Boeing now for over 60 years, having such a torrid time with what is one of the world’s most advanced aircraft? And most importantly, why are the 30+ airlines around the world, which operate the 787, at a 99% despatch reliability while Air India languishes below 97%? The 787 did face a tough entry in to service (EIS), even suffering the ignominy of being grounded due to battery fires, but thankfully AI did not report any. Call this my conspiracy theorist mode, but these are some plausible reasons the world’s aviation analysts are discussing. These are not proven, but serve merely as discussion points. 787 is too advanced for Air India. Very humbly, I strongly disagree with this view. Air India was the world’s first all jet airline. It has been an early adopter of new aircraft be it the Boeing 747 Jumbo-jet, the Airbus A300, the Airbus A320 and now the Boeing 787 Dreamliner. The Dreamliner may be technically advanced, but Air India’s engineering services are highly regarded within the industry. Air India was sold ‘lemons’. Many Dreamliner in AI’s fleet are indeed, from the ‘terrible teens’ early build airframes. However, All Nippon Airways (ANA, the launch customer), Japan Airlines, and Ethiopian airlines too received early build airframes and one does not hear complaints from these airlines. Air India’s financial woes. This is a very plausible reason. Two of Air India’s Dreamliners VT-AND and VT-ANI were grounded for over nine months apiece. The airline tried to call this ridiculously long time a “reliability retro-fit” but as disclosed in a Times of India report, the airline had stripped the new planes for parts to keep the balance fleet flying. The airline has done this earlier too with one of its Boeing 777-200LRs, VT-ALH. Weak contracts. While impossible to prove, rumours abound that maintenance contracts with major vendors of the airframe, engines, etc., are deliberately constructed to favour the vendor at the cost of AI. I do not have to go in to the quid-pro-quo. In February, VT-ANK was grounded at Birmingham, UK due to faulty C duct. The entire Air India Boeing fleet including the 787s are powered by General Electric engines and are covered by the On Point service agreement with GE. So why was the aircraft grounded for 10 whole days while the part was procured? If the contract does not cover the part, why not? If it does, why did GE take so long? What are the penal provisions in the contract? Are similar concessions being extended to Boeing? This surely goes in to the area of conspiracy theory, and I would prefer to give all these corporations the benefit of doubt. Political interference. Air India is like a wife with 1,000 husbands, each abusing her to their own ends. Again in conspiracy theory mode, did the politicians force Air India to procure faulty aircraft? Did they force Air India not to pressure Boeing? Again, who knows, but this is on the fringe, and not acceptable without tangible evidence. What ever be the reason(s) for Air India’s hellish marriage with the Dreamliner, it is something the world’s airlines are not experiencing, and more importantly, has now reached a point where the world’s analysts are doubting the very veracity of the airline’s claims, and that is not a good place to be in.